I'm obsessed with fancy ice cubes -- especially oversized ones that don't melt quickly in your cocktail. 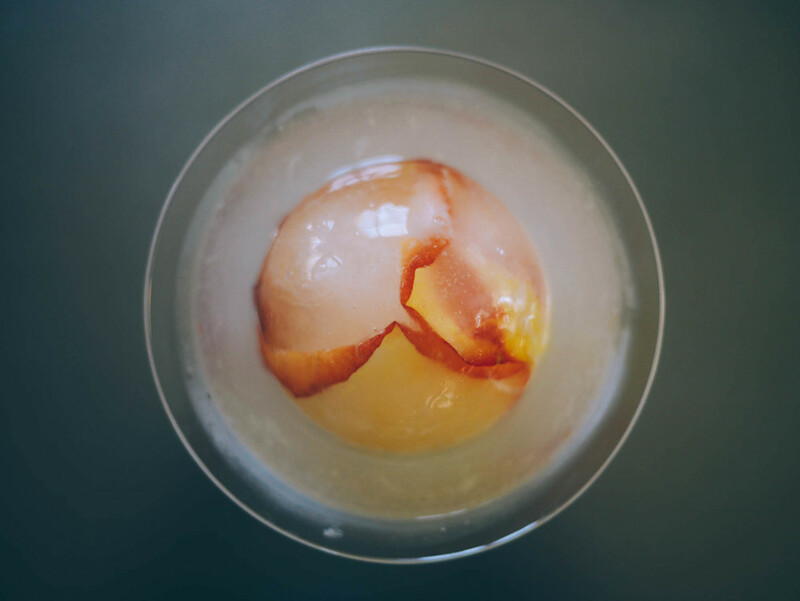 I've had large square cubes for awhile and have played with freezing cranberries and rosemary at Christmas for festive ice, but when I came across a recipe for a Lychee Gin Cocktail in a cookbook from one of Matt's favorite restaurants, Chin Chin, I finally had to buy sphere molds. I highly recommend Tovolo brand -- so easy! Lychees are funny little Chinese fruit. I love floral flavors like elderflower, but find lychees hard to find uses for (for me at least). I don't think they taste fantastic out of a can, the texture is squishy, and they sit in a syrup. But, they're not particularly easy to find fresh. When I saw Chin Chin's Lychee cocktail (and because I love gin everything!) I had to try it. Putting lychees in ice cubes, then eating them soaked in booze -- sounded like a grand use to me! Now for the cocktail. By Chin Chin, Melbourne, Australia. And an extra photo -- because how cool do these look? !